As we reflect on the importance of the International Women’s Day on March 8, we don’t have to look far for stories that demonstrate the inspiring work that women all over the world are doing to secure women's rights and well-being, both for themselves and for generations to come. In countries where DLA works to support transformative education for both girls and boys, we regularly see local women coming together and convincing more parents to educate their girls, as well as helping to reenroll girls who had previously dropped out. These women may not receive awards, but their quiet, behind the scenes efforts deliver enormous impact. And without them, progress for girls’ education would be much farther behind. Since 2013, DLA has operated the Discovery Project, an initiative to benefit both girls’ and boys’ education in Nigeria. The project works in partnership with the local state education board, and provides teacher training, educational media, and sustainable technology for classrooms – as well as extensive community mobilization to catalyze efforts to support education, particularly for girls. 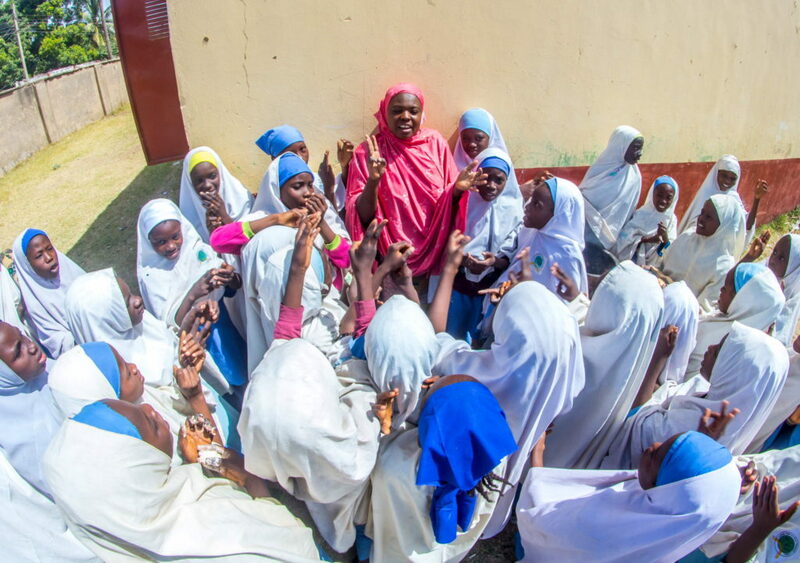 Located on the outskirts of a city in northern Nigeria, many residents in one community had not traditionally put a high value on girls’ education. Local girls would often have to forego schooling to help their families make ends meet, going instead to the nearby city to sell goods in the street. Cultural barriers and early marriage further prevented many girls from enrolling and staying in school. The Discovery Project gradually began to change local sentiments through community mobilization workshops, where residents are trained to identify and eliminate barriers they see as getting in the way of girls’ education. However, initial interest and participation from the community's women was low. To bring more women into the conversation, the project’s trainers identified one particular influential community leader, Hajarah,* as a potential champion for the cause. During the workshops, Hajarah embraced the value of girls’ education and decided to use her influence to rally other women around this issue. Immediately, Hajarah and several others formed a women’s group that began conducting door-to-door advocacy for girls’ rights to education, even using local ceremonies to share their message with parents. Their efforts soon bore fruit. Girls’ enrollment in the local school improved, and the number of girls completing primary and transitioning to junior secondary school began to rise. Before the project’s launch, fewer than 10 girls had attended the school. Within that academic year, 36 more girls had enrolled and 13 transitioned to junior secondary school, including 13 who had previously dropped out! In 2017, 62 girls transitioned to secondary school – a stunning accomplishment for the community. The role played in this transformation by Hajarah and her passionate band of women volunteers is a testimony to the lasting changes that occur when women champion the rights of girls. At another primary school in Nigeria, the Discovery Project’s community action planning process led to the formation of a local women’s association, which then decided to mentor the community’s girls. The women began to give the girls advice on career choices and helped build their confidence and self-esteem. They also taught them entrepreneurial skills, such as making skin creams, petroleum jelly, soaps, candles and other items. Their mentees were also members of another association that DLA helped establish – one of 1,190 girls’ associations and clubs it has helped launch in its partner schools. These girls’ association initiatives have shown to contribute to reduced school drop-out rates and increased attendance for girls, along with higher self-esteem, personal growth, life skills development, and improved academic performance. 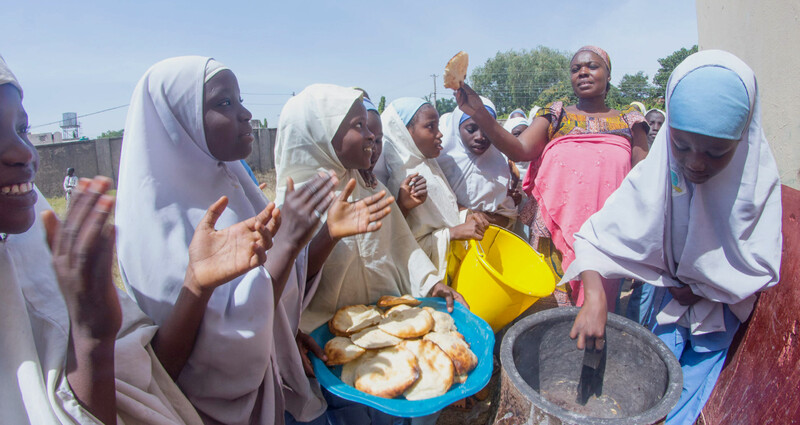 “We were happy to get involved, to help our girls as well as boys attain higher and better education,” said Khadijah,* a member of the women’s association. Khadijah and her fellow members also held an awareness forum to engage community members on the importance of girls’ education, and worked to reenroll girls that had previously dropped out of school. They identified 23 girls who had dropped out, and have since helped most of them return to school. These stories are just two examples of women leading profound transformation in the midst of prevailing mindsets and sometimes fierce resistance. As we celebrate International Women’s Day, it is important to remember that these transformations, while often unseen, are happening every day -- being led by mothers, teachers, community leaders, and in many cases, young girls themselves. DLA is proud to support these fearless agents of change on their journeys to inspire and spread hope! Watch this video to learn about our work to support girls’ education in Africa!